Garmin Forerunner 620 and 220 GPS Watch Previews: The Future of Running Tech Looks Bright! Next to running shoes, running tech gadgets are probably my biggest weakness, and lately I’ve found myself drooling over some of the running tech that is coming down the pipe. I’ve tried a few products that were “almost there” in terms of being ground-breaking fitness devices – the Motorola MotoACTV is a good example. It was a touch-screen fitness watch and GPS tracker that was the closest thing I have seen to a smartphone fit into a watch-sized package. Unfortunately it suffered from some fatal flaws that made it come up well short of its revolutionary potential (lack of waterproofing of the headphone jack and poor battery life being a huge ones! – as far as I’m aware the MotoACTV has been discontinued). Just this weekend I got an email from Garmin announcing the Forerunner 220 and 620 fitness watches. I watched the following video and have to say that I’m intrigued. At first I though these might just be prettier, sleeker, color touch-screen screen versions of the Forerunner 610 (my current everyday GPS watch), but in watching the video they seem to be something a bit more than that. In particular, the ability of the FR620 to measure/estimate certain aspects of running physiology and parameters of the running gait jumped out at me. I followed up with the Garmin rep and he indicated that they would be willing to loan me a sample to try out and return, so hopefully I’ll have my hands one a 620 soon to play around with some of these features and report back. If it lives up to expectations, I may be upgrading from my 610 in the not too distant future! In the meantime, below is a summary of the features of the two watches, with some additional thoughts. 1. Thinner and lighter than the 610. I wear the 610 as my all-day watch, and I like that GPS watches continue to get smaller. 2. Color screen. Self explanatory. 3. Built in accelerometer. The watch itself contains an accelerometer that can estimate speed and distance (the Motorola MotoACTV had this feature). My presumption is that this operates by counting steps in a manner similar to the Fitbit Flex or other wrist-mounted step counters. This could be handy on a treadmill, but probably won’t work if you are pushing a jogging stroller (i.e., when your hands are stationary – the MotoACTV did not count steps when I was pushing my son in his stroller), and accuracy will not be nearly as good as the GPS. But, this feature saves the trouble of having to have a separate foot pod. 4. Bluetooth Enabled. 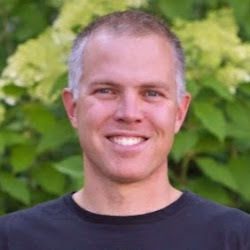 Allows direct upload of workouts through the Garmin Connect Mobile app on a paired smartphone. Also allows for real time tracking of a runner via Livetrack if they are carrying their paired phone with them while they are running. This seems like a pretty cool safety feature. Could also be handy for those crewing runners in an Ultra, though battery life may limit it’s utility in this application. 5. Battery life estimated at 6 weeks in watch-mode, 10 hours with GPS enabled (should be good for distance up to 50K). 6. 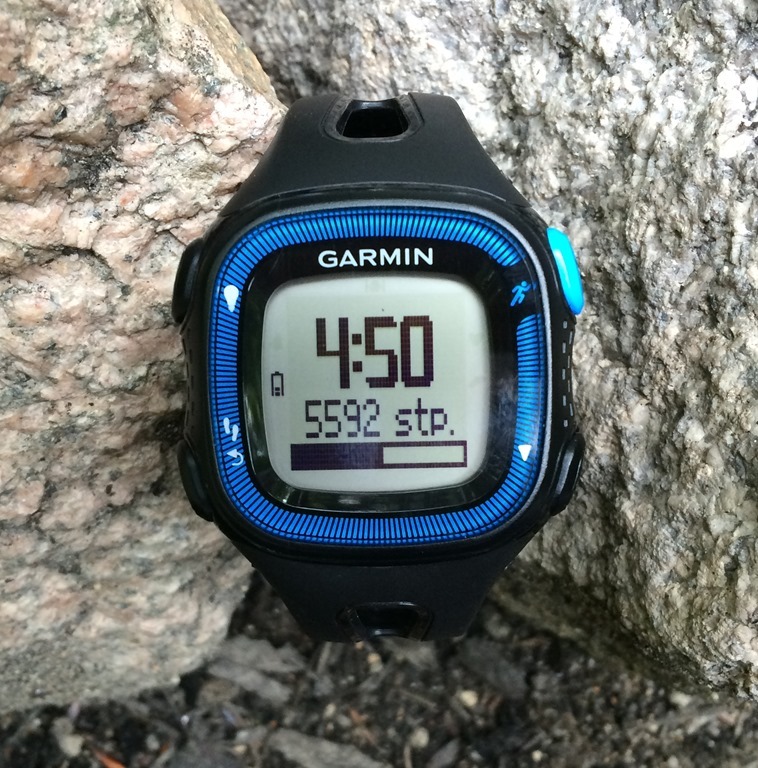 MSRP for the 620 is $399 without the accelerometer outfitted HRM-Run monitor (see below), $459 with. So $50 more expensive than the FR610 currently sells for in those two packages. The 220 is $249 for the watch, $299 with the standard HRM, so $100 cheaper than the FR610. 1. Enhanced Touchscreen. The 620 has a touchscreen that Garmin claims can be operated even when wearing running gloves, so sounds like it will be more responsive than the woefully difficult to operate touchscreen on the 610. The 220 is operated via buttons (not a touchscreen). 2. Wifi Upload. The 620 can be synced with Wifi networks to upload workouts to Garmin Connect (thus no need for a USB dongle for wireless uploads like with the 610?). Apparently with each sync the next 7 days of satellite data are loaded to the watch to speed up GPS satellite signal acquisition time. 2. VO2max Calculation. I’m curious about this feature. Garmin claims that they can estimate VO2max using data on speed, heart rate, and heart rate variability. They are using calculations produced by a company called Firstbeat, who has published a number of papers on estimating physiological variables from heart rate data. I’m very interested to try this out given that I have had my VO2max calculated using the traditional laboratory based method (running on a treadmill with a mask on till I feel like I’m about to die). I can put the watch to the test and see just how close it comes to my lab-based measure. 3. HRM-Run Heart Rate Monitor. The heart rate monitor that can be purchased with the FR620 has an accelerometer built-in, and can also measure heart rate variability. Garmin claims that it can determine how well you are recovered for your workouts by using the HRM-Run – I presume this is based again on algorithms from Firstbeat, most likely heart rate variability. I haven’t read any of the literature on HR variability as an indicator of training stress, but it seems to be gaining popularity. 4. Running Gait Measurements. The accelerometer in the FR620’s HRM-Run monitor can apparently calculate/estimate ground contact time and vertical oscillation (see readout on watch below). This is perhaps the thing I’m most excited to try out. I’m curious how accurate it is, but if it works reasonably well it could be a great tool for gait training. I’m hoping to have a loaner in the next few weeks, and will try to get some initial thoughts posted as soon as I have it in hand. 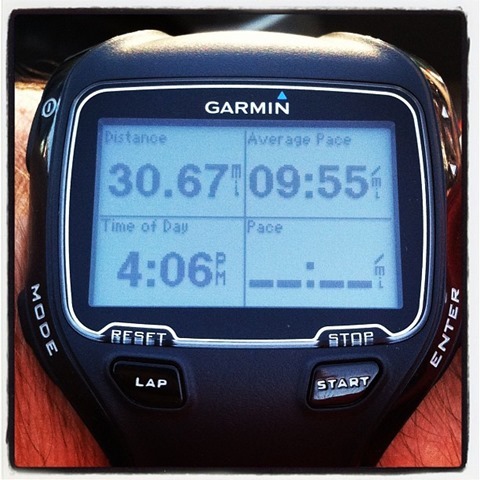 Both the Garmin Forerunner 620 and 220 are available for purchase at my affiliate partner, Clever Training. 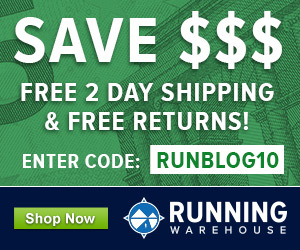 Clever Training offers Runblogger readers 10% off selected purchases with the code RunBlogXJT. Looks neat…but I’ve been having MAJOR issues with my 610, and I bought it last March for $499. (EDIT: I probably spent $399 because I did not get the HRM) Garmin’s response is for me to send them another $99 so I can get a refurbished one. Just did a software update/master reset on the watch, and if that doesn’t fix it, there’s no way I’m going to drop more than $200 on another GPS watch. How did you spend 499? I’m pretty sure it was either $399 or $499, I don’t recall off the top of my head. Either way, it sound last more than a year and a half. They didn’t comp you the watch!? Yet another ding in the Garmin brand for me. Finally wifi upload! No more “where is the dongle”-issues! -and faster GPS localization! Hopefully no more restart of watch to get GPS to work! Thie means that my two biggest negatives about 610 is to be solved. Great news. I can’t wait until you review it! I just ran into some articles on the new Adidas miCoach. Looks similar to the motoactv but hopefully developed by actual computer programmers. 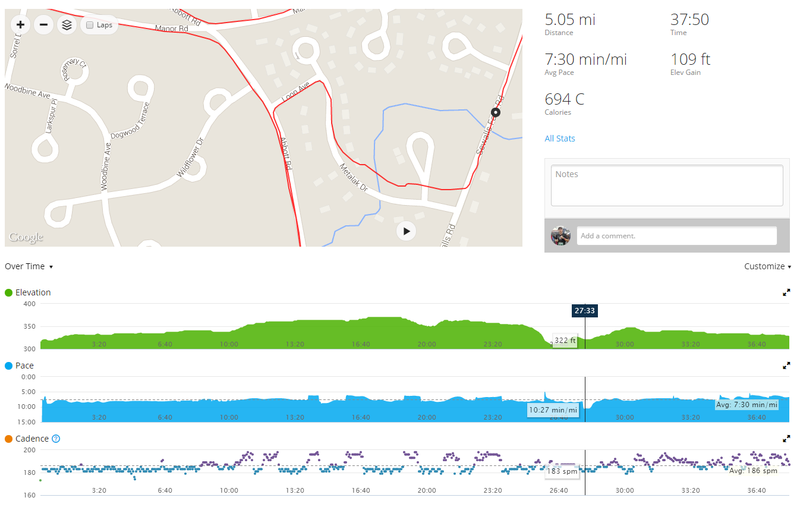 micoach smart run – has the Mio optical HR sensor built in. I am curious, how accurate is the internal accelerometer compared to the footpod? Have you heard it being off or fairly close? Haven’t heard anything yet. My guess is it can accurately count footsteps as long as the arms are swinging (i.e., not pushing a stroller or something like that), and if calibrated to a distance it might do OK as long as you always run the same pace and on the same elevation profile as you did during calibration. Pete, any thoughts on whether the HRM-Run could be paired with other devices to deliver the same information? For example, could I just pair the $80 HRM-Run with my smartphone, if my running app of choice built in the capacity to incorporate running dynamics, etc.? These all seem like great features, but dropping $450 for the package is unlikely for me in the near future. Seems like some of the cool stuff here is just in the updated HRM strap – but I don’t know enough to say whether it could be made to work with anything other than the 620 to get this information. Don’t know, keep an eye on DC Rainmaker’s site as he is usually good about covering things like this. I just got one of these babies as a gift. I’m incredibly impressed. I can’t add much to DC Rainmaker’s review except to say that it feels like a really mature implementation of a pretty astonishing array of technologies – not just the GPS (fast acquisition) and HRM (ditto) but the Wifi and the Garmin Connect site for data collection and analysis and the configuration of the display (with lots of flexibility – basically you choose how much of what kinds of data you want to have at a glance, confident in the knowledge that it’s all being gathered for you) and much more. Maybe the best compliment, other than saying that “it just works,” is that it feels like it was designed by runners, not by engineers. I like your “not designed by engineers” comment. Because let’s be honest, these Garmins just tend to be very technical instead of user-friendly. My question now is: does the Wifi of the 620 really work direct from watch to cloud? Or do you still need the bluetooth-stick? And also does it WORK, or is there a lot of trying and error and waiting? I’m hoping to get a 620 soon, so we’ll see. I received the 620 as a Christmas gift from my wife and have been running with it since then. To answer some questions, yes the WIFI feature works without any other equiptment. You need to set it up one time via the cable to your computer and then that is it. After each run, I just hit the connect button and it searches for a WIFI network. Once found, it uploads the data and it is viewable on either the App or on Garmin Connect. It also did an update over WIFI all on its own with your approval of course. If purchased with the HRM, it comes already sync’d to the 620, so it is pretty easy to get going right out of the box. One issue I had was two consecutive runs it did not log Vertical Osc or GCT but everything else. I checked online and it said if those two data fields are not present, try re-syncing the HRM, but I found all I had to do was reset the watch by holding the pwr button down for 15s. It didn’t lose any data with the reset and on this mornings run, all data was being recorded. As for setup on the watch, I found it to be very intuitive, and once set, I could leave it be after my 1st run and making adjustments. It allows you to display the data on up to 5 separate screens that you can select to scroll through on its own, or you can manually swipe to the screen for the data you want to see. It is a lot of data to try and analyze when you are running, so I suggest keeping the screens simple. Each screen is preset to what data you can display, but you can display 1 or up to 5 data fields, but it makes it a bit hard to read when 5 are displayed. Vertical Oscillation & Ground Contact Time seem to be neat features, but GCT I can’t see changing unless you change other items, so it becomes more novel of a data field. Vertical Osc you can help try to change without having to try and change a lot of other areas of your form. I do try and keep my bounce down, but again like GCT sometimes you can’t help it much. What I really like is the Garmin Connect website. It shows you all your data in pretty much any format you may need, from graphs to replaying the data on the map. This allows you to analyze your data after the fact instead of while on the run. I can see where my HR increases or my stride changes due to the course and elevation change. As for the VOX, it only shows on the main page and it is an overall measurement based on all your runs. It does seem to coincide with improved HR stats on my runs over the past weeks. The recovery report only shows on the watch itself and not on Garmin connect. It also seems to report pretty close to how I am feeling after the run. If I felt good after the run and I confirm it by the data, it shows a shorter recovery time. If I felt like I was having a hard time and my HR shows higher than normal, it shows a longer Recovery time. As for the APP, I use Android, so it does not sync up for live track yet like the iPhone App. The other thing I have noticed is that you can only see basic data of your runs like HR, pace, time, elevation, & avg Cadence (but it seems to report only 50% values). I have heard the app is to be updated sometime this January for Android, but I am not holding my breath. I hope this helps answer some questions. I have only been using it for a few weeks now, and I am going off memory so some of my statements may be a little off (like number of screens). Thanks for the detailed review, need to work on my own! I’m looking for a watch to last 12+ hours, but am not convinced I want to go the Suunto Ambit route. Is there a longer sampling mode in the 220 to help stretch the battery life? Does the 10hr advertised life seem accurate? The Garmin Forerunner 220 is a great watch for outdoor and indoor running. The watch picks up signal very fast and is extremely user friendly. What I especially like about the 220 is how it displays your pace when you are running on the treadmill more precisely than the treadmill. Just wondering if anybody has had any issues with the Forerunner 220 navigation not working. I’ve had the watch a couple months. Absolutely love it, but the last 5-7 runs it’s not keeping my distance. I start running and it pauses and doesn’t start back up. Running my first marathon on Saturday and obviously want this to be working. Any ideas about what I should do? I don’t have the 220 (620 for me), but I’d recommend checking out the forums on the Garmin site for a solution. Lots of troubleshooting there, and I know a bunch of software updates have come out for the 620. IT has a feature called Virtual Partner where you can set a pace you want to stay on, but don’t think you can plug in a time. It’s also a bit of a risk in a marathon since you will typically run a bit longer than 26.2 unless you hit the tangents perfectly, so for pace you typically need to go a little lower than target pace. For the live tracking to work.. Does the runner still have to run with their phone & watch aka Garmin in order, for their cheer squad to see where they’re during a race or long run etc?? ?